Patricia Arquette Joins ‘Boardwalk Empire’!!! HBO’s ‘Boardwalk Empire‘ is still adding new cast members to make Season 4 a magnificent one. Patricia Arquette, member of the Arquette acting dynasty, has joined the mob drama in a recurring role alongside Steve Buscemi. Arquette will play Sally Wheet, a tough Tampa speakeasy owner with connections to local mobsters. This is her first major series return since her seven seasons on NBC/CBS ‘Medium‘. Season 4 is planned to debut later this year. In addition to Arquette, ‘Boardwalk Empire‘ has also added new regulars Ron Livingston (Office Space) and Jeffrey Wright (Extremely Loud and Incredibly Close). Brian Geraghty (Flight) and Eric Ladin(Cursed) have also been added in recurring roles. As a huge fan of the show, I am pumped about the addition of all these cast members, especially Arquette. I think these people will fill in the holes in cast that were killed off in the previous seasons. I cannot wait until Season 4 comes out late this year!! 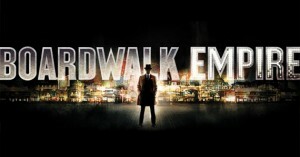 Ron Livingston Joins HBO’s ‘Boardwalk Empire’!!! This entry was posted on Wednesday, April 17th, 2013 at 1:42 pm	and is filed under News, Television. You can follow any responses to this entry through the RSS 2.0 feed. You can skip to the end and leave a response. Pinging is currently not allowed. « David Zucker Wants to Reboot “Naked Gun”!! !